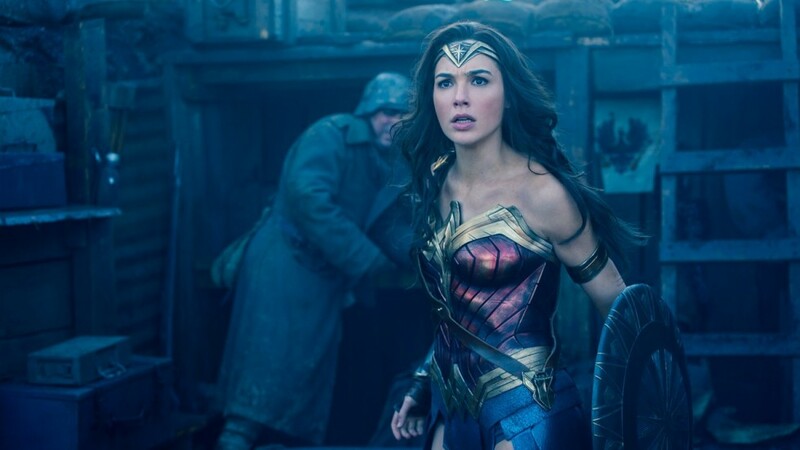 Early on in Patty Jenkins’ confident and electrifying big-screen Wonder Woman epic, after getting rescued by the film’s hero (a robust yet appealingly vulnerable Gal Gadot), our guy in distress (a somewhat charming gritty Ken Doll with a sense of humor, Chris Pine) upon being asked about how he stacks up to other men says, “I’m above average.” In some ways, that’s the best way to describe Wonder Woman in comparison to every other superhero movie. It’s above average. But to leave it at that would be deny the film’s subversive charms and contextual place in the pantheon of fantasy films as mirrors into the audience’s psyche. Let’s not dismiss, however, just how fun it is to simply watch an above average film in this over-saturated genre. Jenkins and her crew show great creativity and tactical savviness in their treatment of all the genre clichés while choosing a relaxed and serialized pacing in the action, following each big set piece with moments of more intimate drama and character development (witness celebratory Belgian villagers and our heroes dancing in the streets in the evening snowfall that seems ripped from a great war-time romance). The film’s inherently silly exposition (routed in Greek myth) is made palpable thanks to beautifully rendered Renaissance-style paintings of Greco-Roman fantasy come to life – smartly linking the lore and art of old with modern comic book pages and colorful cells flipped through feverishly by childhood’s fingers. Playful camera angles bring to life a rousing aeronautical flyover of an exploding enemy bunker and battle horses and motorcycles racing through war-torn woods, while slo-mo is used judiciously when warranted and not just for the sense of style. Meanwhile, in the usually stale realm of comic book movie villainy, Germans (this time of the WWI sort) are devilishly brought up to the level of Indian Jones-style Nazi bad-asses. 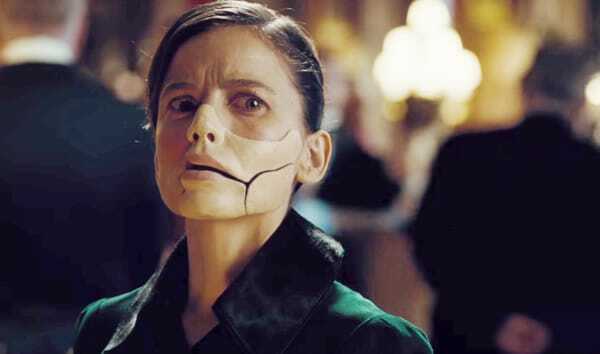 A colorful scenery stomping Danny Huston, coupled with his half-masked poison-cooking scientist (played with eerie, sinister appeal by Pedro Almodovar alum Elena Anaya) make for a most memorable and fearsome pair. And then there is the stereotypical misfit band of sidekicks who agree to join our heroes on their seemingly impossible quest to save the world. Screenwriter Allen Heinberg gives them all just enough backstory for us to give a damn about the peril they put themselves in. The Native American (an awesomely named Eugene Brave Rock) is there as an opportunist, but only because his people have been left with no opportunity back home, and at least out there on the front he is free. The Scotsman (Ewen Bremner) is a horrible drunk…with PTSD. The Middle-Easterner (Said Taghmaoui) is a culturally literate huckster who’s loyal when and to whom it counts. All of these generic elements (and yes, even the it-happens-in-every-comic-book-movie-tank-throwing-ground–smashing-fire-engulfed-battle-royale at the end) have been recycled before, but here are handled with just a little bit more care than we’re used to. They make for an engaging pop-corn movie and deserved to be enjoyed for their surface level polish and pleasures. But of course, there is more beneath the surface if you want to look. If Christopher Nolan’s Batman trilogy was the dark, paranoid, psychologically slippery lens into a world under the shadow of the Bush Doctrine we needed then; then Wonder Woman (on the heels of such defiant, women-centric crowd-pleasers like Rogue One and Hidden Figures) is the light-shining, sincere, optimistic, rabble-rouser we need now in the wake of Trumpism. When Diana realizes that the childish myth (where Amazonians could vanquish war from the world by killing the god Ares) she was raised on is false (or, well…in the case of this superhero movie, only partly true), and that evil keeps encroaching even if you chop off the symbolic Hydra’s head, it’s Pine’s character who delivers the sucker punch to her naïve and outdated worldview. “I wish I could tell you it’s one bad guy to blame. But we’re all to blame.” And it’s true. We are all to blame for this mess we are in. But also true are Diana’s feelings, the love she develops for Pine’s character, the brotherhood she witnesses between the men who follow her into harm’s way, and the compassion she feels for the villagers and the innocent victims of the war…and even the compassion she can feel for the enemy. The world can be (and is) both horrific, full of vile acts and destructive philosophies…and full of wonder, humanity, and kindness. Simply put, people have the capacity for both good and evil. And Diana optimistically decides the good is worth fighting for. Jenkins’ keen return to the big screen as a director to be reckoned with (after being absent from feature films, though busy with TV, since her sensational Oscar-winning debut Monster), combined with Gadot (who showed no sign in that bleak Batman vs. Superman mess of having the acting skills to carry a film like she does here under Jenkins’ impassioned direction) as a super hero for our current age, couldn’t be more perfectly timed. And for once, in a genre drowning in misbegotten and money-grabbing sequels, I wouldn’t mind seeing this powerful director-star duo rinse and repeat. This entry was posted in Movie Reviews, Movies, Pop Culture and tagged Allen Heinberg, Amazonians, Ares, Chris Pine, Comic Book Movies, Danny Huston, DC Comics, Diana, Elena Anaya, Epics, Eugene Brave Rock, Ewen Bremner, Gal Gadot, Greek Mythology, Origin Stories, Patty Jenkins, Said Taghmaoui, Superhero Movies, Superheroes, Wonder Woman, WWI. Excellent essay here David! You really peel away the gauze. I have not seen the film yet, but will lift my ban on superheros movies soon enough for this one. My family were quite impressed. Sam – haha, yes, this is worth lifting your ban for.